One of my first mentors in correctional health care described prisons and jails as functioning like a city or town with many of the same characteristics as the surrounding community. I still think that is a good description. So we can expect trends identified in the larger community to eventually transcend the walls of the correctional facility in some way. One of these trends is the growing problem of prescription drug misuse and abuse. 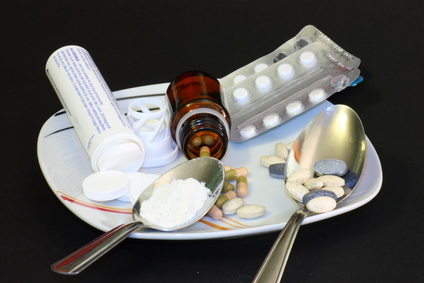 According to a 2010 survey done by the Substance Abuse and Mental Health Services Administration more Americans over age 12 are taking prescription medications for non-medical purposes. These medications include pain relievers, tranquilizers, stimulants, sedatives and psychotherapeutic drugs. More than half of those said that they obtained the drug from a friend or relative for no cost. More than half the teens surveyed in another study obtained prescription drugs for non-medical purposes from the family medicine cabinet (Kirchner et. al., 2014). The Centers for Disease Control and Prevention (CDC) reports that visits to Emergency Rooms (ER) increased 114% from 2004 to 2011. The majority of this increase is due to misuse or abuse of pharmaceuticals. In 2011 half of the admissions to the ER were related to prescription drug misuse or abuse. Of these admissions, one third involved medications used to treat anxiety or insomnia and another third were opioid analgesics (2014). Deaths by poisoning or drug overdose have been the leading cause of injury in the United States since 2008. Overdose deaths have increased five-fold since 1980 (Kirchner et. al., 2014). In 2010 among deaths related to overdose with prescription drugs 75 % involved opioid analgesics and 35 % involved benzodiazepines. The number of overdose deaths from opioid analgesics is now greater than those of deaths from heroin and cocaine combined (CDC 2014). All of this is to say that detainees arriving at our jails and prisons are likely to have recently misused or abused prescription drugs. Thorough, routine and non-judgmental inquiry about recent drug use during reception health screening is essential to identify individuals who will need to be managed medically during withdrawal. These questions should solicit the name of the drug, the usual dose; the route used, frequency, date and time of the last dose. Other questions include previous withdrawal symptoms and whether hospitalization was necessary (Laffan 2013). Taking multiple prescriptions (DHHS, 2013). These are not listed as a definitive means to diagnose prescription drug abuse but instead to point out how many of our inmates have these same characteristics and are at risk of adverse consequences from this behavior. When inmates are identified who will need assistance with detoxification the nurse’s next step is to contact a provider. Monitoring and management of withdrawal from prescription drug abuse should be initiated by a provider according to protocols established by the facility medical director. Nurses should not be expected to use standing orders to initiate detoxification (NCCHC 2014). For more about drug withdrawal in the correctional setting read Chapter 5 in the Essentials of Correctional Nursing. Order your copy directly from the publisher. Use promotional code AF1209 for $15 off and free shipping. This entry was posted in Assessment, Withdrawal and tagged Catherine Knox, correctional nursing, Essentials of Correctional Nursing, Intake Screening, jail nurse, Medications, National Commission on Correctional Health Care, prison nurse. Bookmark the permalink.